Not all parents will agree, but I think most will! Back to school is one of the best times of the year! Yes, I know it marks one less year your kid is at home before leaving for college, but I don’t look at the sad side of BTS. I see it as a time of renewal and the return of routine, which makes everyone a little more happy and productive, especially if you’re coming off a PCS this summer. 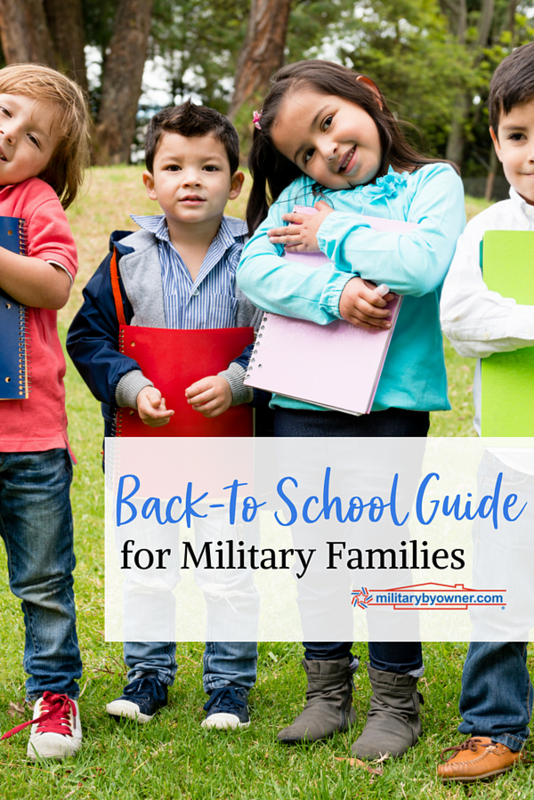 For military families, July, August, and September are months filled with careful preparation; there are shots to be endured, backpacks to bicker over, and teachers to meet. We’re going to need all the help we can get (especially with homework!) to face the new school year ahead. Print this collection of resources and add it to your school command center. You never know when you’ll want these education, PCS, and deployment resources right at your fingertips. Topics like PCS transitions, the transfer of school records, homeschooling resources, and determining how to acquire special educations services are common topics that the SLO offers advice on. The Military Interstate Children’s Compact is an agreement amongst states that was created to assist military kids to experience seamless transfers between schools. Although all states have signed on to a version, gaps in education transfers still exist. Understanding the MIC3 and how DODEA addresses implantation is important. If the need arises, the compact has crucial information for parents to have a working knowledge of how your local SLO can also assist with issues detailed in the MIC3. The Military Child Education Coalition leads the way when it comes to education support. Their website offers more than enough to get parents on the right path for support for any school transition. MCEC has unique recordings, videos, and downloads that are loaded with advice for all ages, including high school students. Topics include College, Workforce, Life Readiness, and Exceptional Needs. To implement these programs, MCEC has consultants on the ground at some of the most popular military bases to assist with BTS or PCS issues that may be hindering the family’s ability to settle in their new town. Some of the Military Student Transition Consultants are found near or around, Fort Bragg, Fort Hood, Lackland AFB, Fort Benning, Fort Polk, and Norfolk Naval Air Station. One of the troubles of moving to a new school is the possibility that the school hasn’t had a significant military population in the past. Administrators from the local school up to the school board level must be educated on how to serve these students. MCEC’s consultants can advise districts on how to properly serve military students. 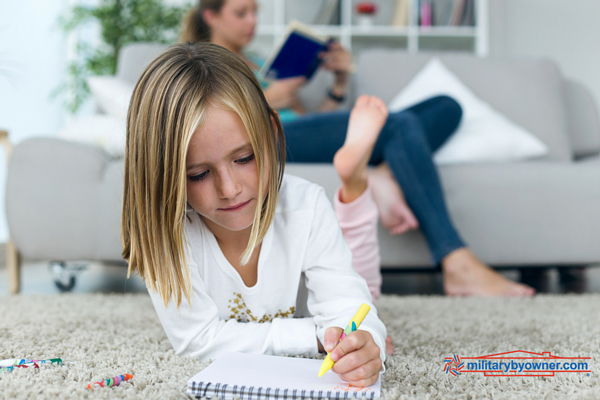 Homeschooling is a distinct possibility for military families for numerous reasons including frequent location changes or lack of quality of education at the current duty station. Meg Flanagan, M.Ed, is the founder of MilKids Ed, an education resource for busy parents and is the go- to-pro for everything military kid school related. As she is preparing her own military family and business for the back to school crush, she stopped for a moment to share with MilitaryByOwner some well-honed advice for communicating with your children’s teachers. Chatting in person or through email can be a tricky situation because as the parent, your first priority is your child’s well-being, but as a classroom parent, you understand that supporting the teacher is one of the best ways to make the year successful. Meg shared with me how to balance these roles through effective communication techniques. Instead of leading with a major frustration in your conversation, connect with your teacher by highlighting a positive aspect of the classroom or something your student particularly enjoys. Then, Meg suggests, present your question or share your worries regarding your child. Keep these issues brief, but descriptive using neutral language. Present the teacher with the facts only and wait for the teacher to share the situational facts she has, because you might not be aware. Meg finishes with, “End with a positive message, like 'I look forward to working with you to help my child.' That’s it! Keeping to the facts and including positive feedback makes the teacher feel good. And that helps them to get to 'Yes!' "
Check out the MilKids Ed site to purchase Meg's book, Talk to the Teacher, download free resources, and more, all written directly from the experience of a military mom and teacher. PCS and back to school go hand and hand. Whether it’s the start of the new school year for your 7th grader, or halfway through kindergarten, school age kids are going to need encouragement. Sometimes though, pep talks from mom and dad aren’t going to be enough to calm their nerves. Before school starts, double check if the new school or next grade level requires updated shots. Kindergarten and 6th grade are traditionally the grades when kids need additional or booster shots to enter the classroom. Many local health departments offer the shots for free if the BTS line for shots is way too long at your local base’s immunization clinic. Review your school’s PTA or PTO page for events before school starts. Casual meet and greets on the playground are popular. Schools with a significant mil-kid population often have military groups or committees within the PTA. Your specific school may also have transition related topics listed on their homepage. Don’t forget to check out our collection of PCS Resources. There, you’ll find everything you need to know about how to make your move easy, successful, and possibly fun. There’s even info about how to survive multiple weeks in extended lodging. All parents know the importance of a bedtime routine, and this often includes a story from mom or dad. As back to school dates approach, these calming habits become even more important to stick to for happier and more productive mornings. If the military member is far from home during this transition, how can they help their children and spouse prepare for nighttime routines? United Through Reading is a growing non-profit whose main mission is to connect separated service members with their children through books. UTR offers deployed and long term geographically separated parents the opportunity to record themselves on video reading to their children. Molly Haskin is a military mom and spouse, plus she’s UTR’s Program Manager for the Army, Air Force, and National Guard. She and I chatted about BTS readiness and how separated families can come together through reading books. Molly was excited to tell me about United Through Reading's back to school campaign, which involves shipping classic book titles across the globe to service members who then record themselves reading to their children. Young children obviously adore the repetition of a beloved book read by a parent over and over again. Remember Good Night, Moon, everyone? But older kids benefit from these videos, too. Their parents don’t necessarily have to read to them, but both can simultaneously read a title and later, the parent can discuss on video the major themes and how they relate to real life at home. UTR staff never sees the videos, so parents can be as silly or as poignant as they want to be without hesitation. I asked Molly about the importance of this type of connection during the hectic beginning of school year timeframes. From first hand experience, she acknowledged that a PCS, a new school, and deployments were huge obstacles for families to face and felt that the kids who were able to routinely watch their parents read to them each night was a major comfort, adding that the parent who was at home also benefited from having support from the service member afar. Please refer to UTR for more information and locations for this free service. Sticking with the theme of books, check out some the of these titles that often appear on “best of” lists to comfort military kids during deployments or when parents are away for the first day of school. Kids are expensive! So it goes, the older they get, the more expensive they become. Take advantage of discounts and giveaways created for military families. If we don’t use the programs, the organizations and companies quit providing the opportunities! Subscribe to the USO and other military family centered organizations to participate in their giveaways and BTS events. YMCAs across the country host Back to School Bashes, some with school supplies on hand. Operation Homefront’s Back to School Brigade is well-loved for its effort to treat military kids who need school supplies. Kids receive backpacks filled with everything they need, plus a couple of items just for fun. Everyone knows Brad’s Deals for the best in Black Friday discounts. 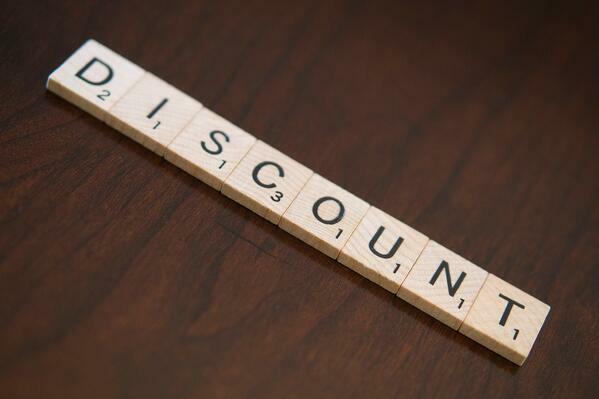 Brad doesn’t disappoint with the list of military discounts that are especially helpful for finding discounts on clothing and technology. Deal News is an excellent place to discover the latest sales and what to expect from retailers for BTS 2018 discounts. Was the Exchange picked over when you went in for BTS clothing and supplies? Look for your state and nearby state’s tax-free holidays. There’s even more savings to be had during these dates. First—parents, schedule time your own health care and wellbeing by returning to your normal exercise routine and attending the dentist and doctor’s appointments you’ve put off. Spa appointments count, too. Hopefully the new school year brings a little more time for yourself, whether it’s a weekend away with girlfriends or a round of golf, take time to gather your strength for the year to come. Many parents dread the monotony of school life. Get up. Eat. Come home. Eat. Clean. Sleep. And it’s true, trying to figure out what to buy for lunch at the grocery store again is somehow exhausting. Use the convenience factor as your guide to get through every day. I dread the idea of lunch and dinner planning, even though I know there’s science somewhere along the way that proves the benefits of saving money and time. But still. Good intentions make for a strong start, so tap the pros on Pinterest and see what they are packing for lunch each day. No, you don’t have to buy Bento Boxes and craft creatures out of diced fruit, but there might be a few new brands or ideas out there that work for your family. Talk with your doctor about starting probiotics, receiving flu shots, and taking other supplements to help build immune systems during the school year. Lice runs rampant in the fall and winter, because kids are in close proximity (think bean bag chairs in the library) and share clothing like coats and scarves. Begin gathering preventative solutions like tea tree oil shampoo and conditioners in addition to other remedies friends and family have had success with. It’s well known that lice are becoming resistant to over the counter treatments, so it’s best to try and prevent rather than continuously treat an infestation. Here’s what WebMD had to say about the 5 Ways to Lower Your Odds of Getting Lice. 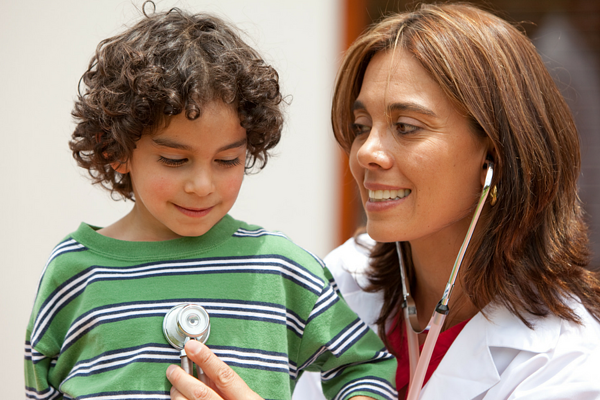 Your doctor can also prescribe strong anti-lice meds if your case is recurring. Agh. There’s so much to do before school starts! Don’t worry, you probably won’t get it all done before the very first day, and that’s okay. You’ll pick up what’s left during the first month. That’s what I do, anyway. To shake things up this year, try looking over MilitaryByOwner’s Pinterest board for Military Kids. There, you’ll find dozens of ideas to boost BTS prep and ease PCS angst. And maybe a tip or two for meal prep.